We know that growing up Lesbian, Gay, Bisexual, Transgender and Intersex (LGBTI+) is not always easy. 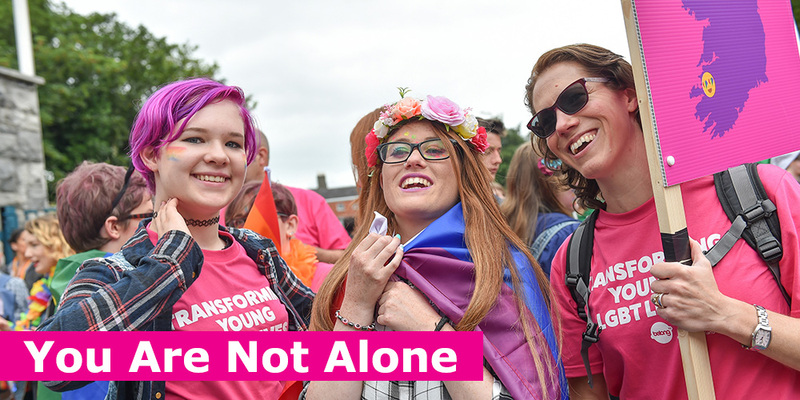 We are here to help you with information, support, and youth groups where you can meet other LGBTI+ young people who have similar experiences to you. Getting the help and support you need is important. At BeLonG To, we offer non-judgmental, confidential support. We’re here for you. If you are not ‘out’ to other people, we will not share this information or ‘out’ you. If you are worried about someone knowing you have visited this website, you can delete your online browsing history. You can also move quickly from our website using the ‘Emergency Exit’ button on the top right-hand side.